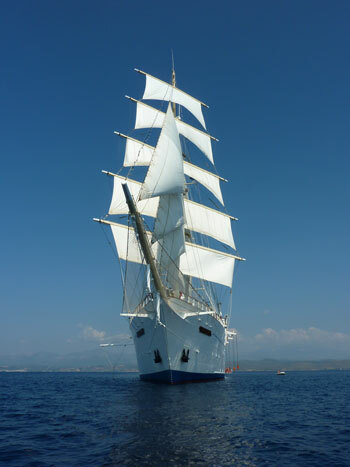 This month got off to a great start with a 10 day cruise on board the Star Clipper. Sailing down the Adriatic and into the Aegean. A fantastic experience. Although Aerobics on deck with a significant heel in the ship can be somewhat challenging. Fully motivated on my return I painted the hull sides. Now I can get a feel for how the hull will look, all white. Having used a brush for the hull bottom, I tried a mohair roller from Wood finishes direct, for the hull sides. It gives a more uniform coverage but the finish is interesting to say the least and the u'coat is so sticky that occasionally mohair gets transferred only the paint surface. 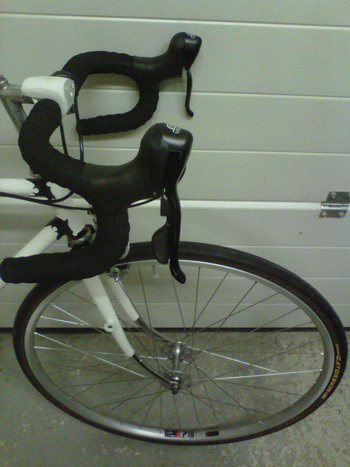 I've also finished assembling the bicycle. I upgraded to a set of brake lever shifters from Planet X as the stem mounted Shimano shifter was unworkable. The only downside is there is no gear indicator. But I figure that this is a small price to pay for such an elegant solution.